If you have a personal injury claim and have tried to handle it yourself, chances are you have hit a brick wall. The other side is armed with experienced and skilled attorneys whose primary job is to make sure that you see as little as possible. 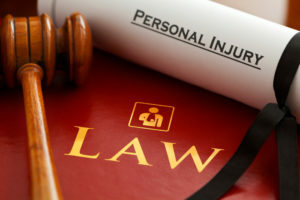 A personal injury lawyer can certainly help expedite your claim, even if you have been trying to handle it yourself. If you have been injured due to the negligence of another, here are some points to consider when looking for a personal injury attorney. Make sure that you look for an attorney who has experience specifically in personal injury law and in the area under which you are bringing your civil lawsuit. Thus, if you have been injured in a car accident due to the negligence of another driver, you’ll want to have a lawyer who has worked in the area of motor vehicle accidents. Likewise, if your personal injury case involves a slip and fall mishap, then the attorney representing you should be experienced. Experience is a great teacher, and will serve you well. Experience in the specific area of the law is just the start. You also want a lawyer who has a record of success. You won’t find a personal injury attorney who has a perfect win record, but you should be able to get a very good one who has been able to secure fair settlements for a vast majority of their clients. You also want a lawyer who has been able to settle cases in an equitable fashion before they go to trial, as well as one who is proficient in the courtroom. When push comes to shove, it often best not to go to trial due to the fact that it is costly and the outcome can be unpredictable. Plus, there’s a decent amount of stress and aggravation that comes with the trial process. However, if your lawyer cannot reach a fair pretrial settlement with the defendant and his/her lawyers, then you certainly want someone who knows their way around a courtroom, and will be able to handle anything and everything. Finding an attorney who is respected by other legal professionals will give your case more credence. Plus, an attorney who is familiar to and respected by the court will often be afforded more leeway than one who is not. Finally, you want a personal injury attorney who is going to respect you and your claim and give you personalized service. That includes timely and clear communication, proper and thorough preparation of your case, and a constant consideration of your best interests. The one thing to remember is that if you have a personal injury claim, you should only work with a qualified, skilled, and experienced attorney. He or she can move your case along and get you the best possible settlement.